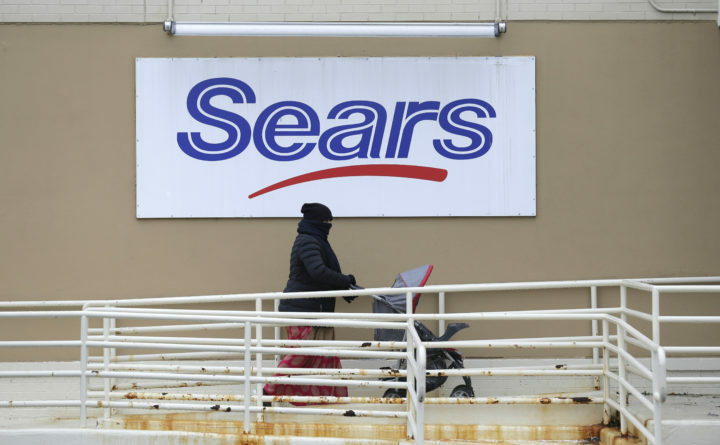 A person on Tuesday walks near a sign for a Sears store in Hackensack, New Jersey. Sears is getting another reprieve from liquidation after its chairman and largest shareholder revised his bid to save the iconic brand, according to a hearing Tuesday at the bankruptcy court in White Plains, New York. The eleventh hour negotiation is yet another twist in the rocky journey of Sears whose fate has been hanging in the wind, particularly since it filed for Chapter 11 bankruptcy on Oct. 15. As of the filing, the company had just under 700 stores and 68,000 workers.